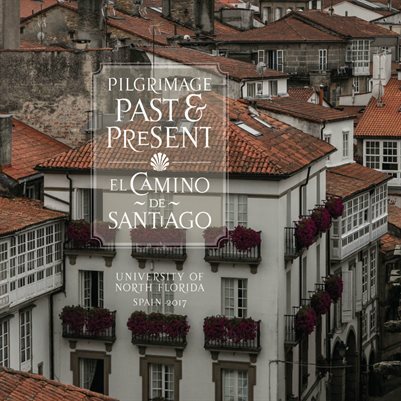 In the summer of 2017, the Departments of History and Sociology, Anthropology and Social Work, took 23 UNF students to Spain to study pilgrimage. During three weeks abroad, students traveled the entire length of the Camino Francés, from its traditional starting point in the French Basque town of St. Jean Pied de Port to Santiago de Compostela - ending the journey in Finisterre on the Atlantic Coast of Spain. Students walked the final 70 miles from Sarria to the shrine of St. James, traversing the stunning Galician countryside and retracing the steps of more than a millennium of pilgrims. Through photographs and student quotes this work highlights the students' transformational experiences. In addition, it draws on student-conducted interviews and mapping projects to illuminate the continued impact of pilgrimage in modern Spain.